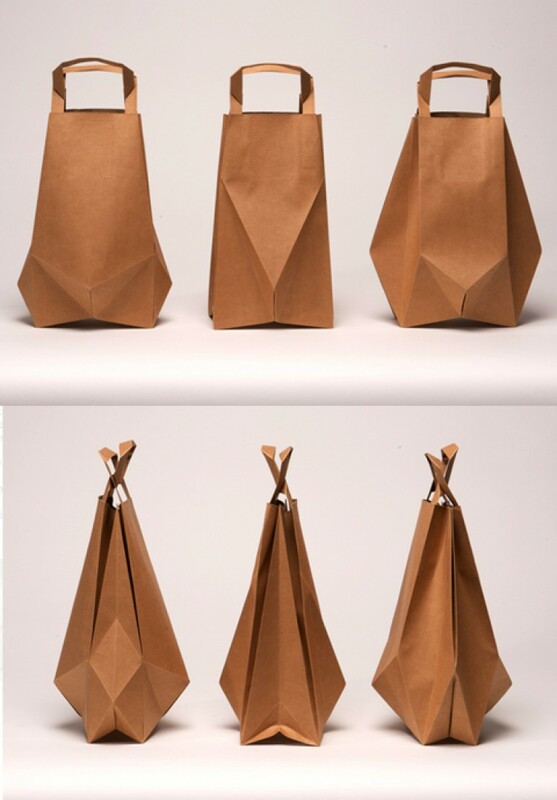 Probably everyone is familiar with the classic brown ‘paper bag’ used for carrying groceries. But, who would think that a daily object like this could be turned into something surprisingly beautiful by only the simplest adjustment? When using the technique of folding, a reinterpretation is given to this classic product by Ilvy Jacobs who graduated in product design from Artez in Arnhem in 2010. She intended to give a new view on an everyday disposable product. 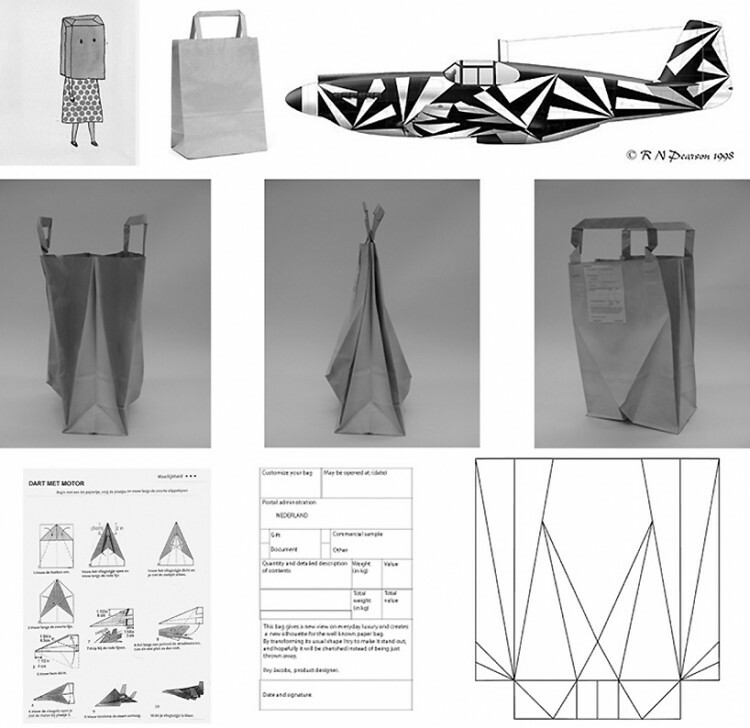 Through experimenting with folding techniques used for the folding of paper planes, she came up with a technique of creating new silhouettes for the paper bag. Suddenly, these normally so ordinary-looking bags are transformed into luxurious products in diamond shaped sculptures. The focus in Ilvy Jacob’s design style is on the packing function of bags, whereby she investigates different forms and materials that can lead to a longer lifetime of the bags. This way the bags become more valuable for the user and a more sustainable way of consuming is created. 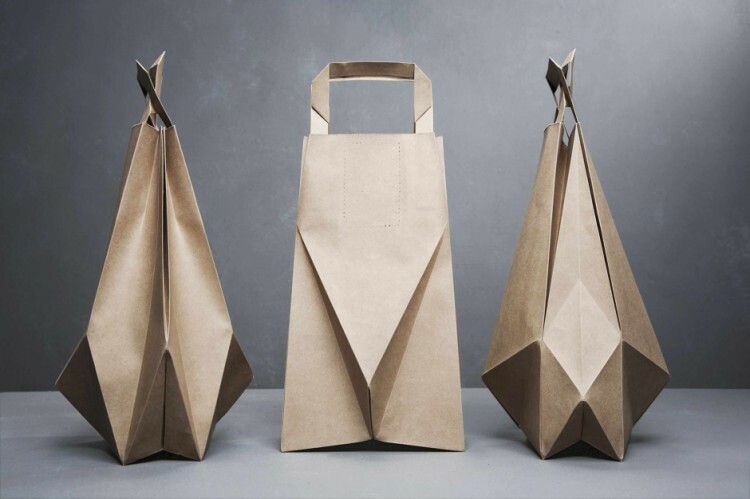 The ‘foldbags’ correspond to new and more conscious ways of thinking about the consumer behaviour in the Netherlands as regards the disposable plastic bags in supermarkets. These slowly start to disappear and, if you ask me, could disappear for good. All the more reason to start re-using bags, especially when they are as good-looking as these.